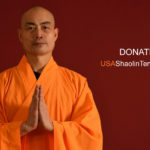 Shaolin Temple Mexico hosted the 3rd annual retreat at the Monastery of the Benedictine located in Cuernavaca. 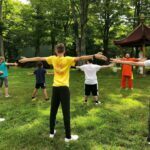 People from all corners of Mexico as well as New York and even Austria traveled to absorb the three day intensive training in Chan Philosophy: Kung Fu, Tai Chi, and Qigong. The event began on a beautiful Thursday afternoon with the participants trickling in and settling down into the monastery from all different parts of Mexico. Shifu arrived to find the New York crew of 8 disciples and students nicely kissed by the sun from already spending a few days of sight seeing in Mexico. After greeting the crew from back home, Shifu said Amituofo to many of the familiar faces from past retreats. The Mexico Temple gave a warm welcome for Shifu and New York crew at the opening dinner. All participants had arrived by then except for the two who had journeyed the farthest, all the way from the Temple in Vienna. The next three days were filled with intensive training, from early in the morning until late evening. Participants rose before breakfast to start the day with either Kung Fu, Tai Chi, or Qigong. Following breakfast, Shifu led the Qigong and Tai Chi. Groups were formed based on previous knowledge of the forms from past retreats including a group of beginners. 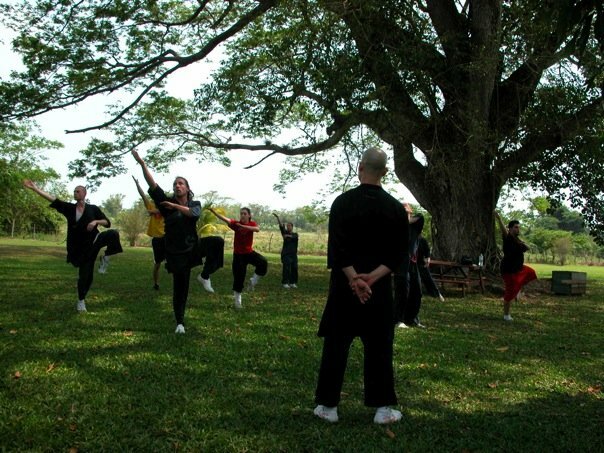 After lunch, Shifu led the Kung Fu basics going across a meadow that stretched longer than a football field. This was the warm up. Following the basics were the forms. 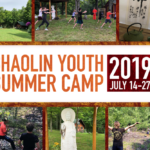 It was a special occasion this year, as participants were shown not one, but two kung fu forms: Ying Quan (Eagle Claw) and Xiao Pao Quan (Small Cannon Fist). 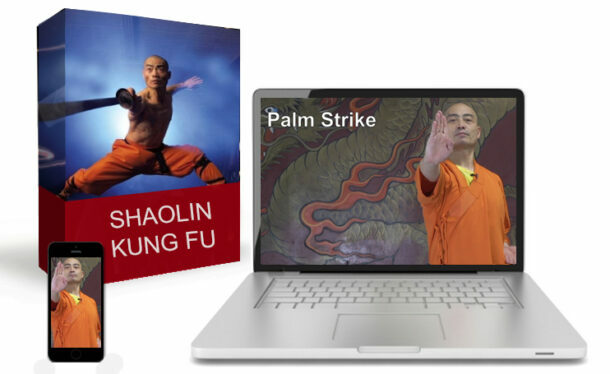 Xiao Pao Quan is one of the most important, core forms in Shaolin Temple history, while Ying Quan is a modern form. The combination presented the duality of the past and present. 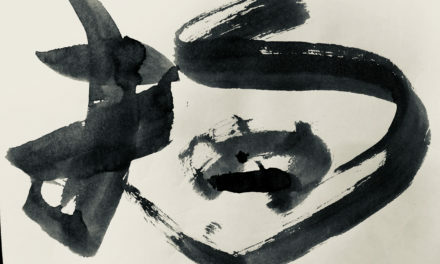 Each day concluded with a lecture on Chan Philosopy. 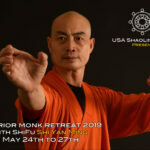 Not only was this a special time for the participants who immersed in the three days of rigorous training, but it was also the Shaolin Temple Mexico’s 5th year anniversary. At the closing ceremony lunch, everyone celebrated with entertainment from a local mariachi band. 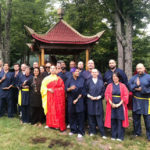 Participants went home with a certificate acknowledging their participation, but more importantly, carrying with them the ancient tradition of action meditation.